We all know about our former Prime Minister, Lal Bahadur Shastri, but how he died is still an unsolved mystery. Can Agnihotri reveal it for us? Filmmaker Vivek Agnihotri is an avid Twitter user and has always put his thoughts in front of the public. The ‘Hate Story’ director is now on a mission to raise the curtains off on the tragic death of our former Prime Minister, late Mr Lal Bahadur Shastri. 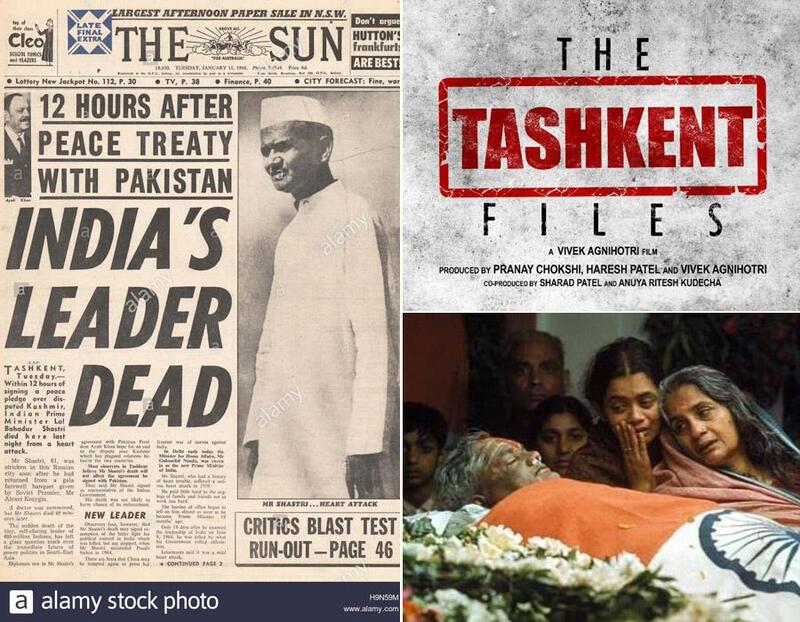 Shastri died 52 years back in Tashkent but his death is still an unsolved mystery, which the filmmaker is trying to showcase through his movie, ‘The Tashkent Files’. The movie stars veteran actors like Mithun Chakraborty, Naseeruddin Shah, Vinay Pathak and Shweta Basu, and the shooting for the first schedule has already started in Mumbai. Shastri died in Tashkent (the capital of Uzbekistan), at 02:00 on the day after signing the Tashkent Declaration, reportedly due to a heart attack, but people allege conspiracy behind the death. He was the first Prime Minister of India to die overseas. Despite going ahead with the detailed research on the case, Vivek chose the option to crowd-source the ideas for a film, where a concerned person with theory and the proof will be considered as research work! Helmed by Agnihotri, the movie is produced by Pranay Chokshi, Haresh Patel, Vivek Agnihotri and co-produced by Sharad Patel and Anuya Ritesh Kudecha. Anil Sharma gives us the first glimpse of Utkarsh Sharma from Genius! The first look poster of Genius is out and Utkarsh Sharma is ready to play the mind games!